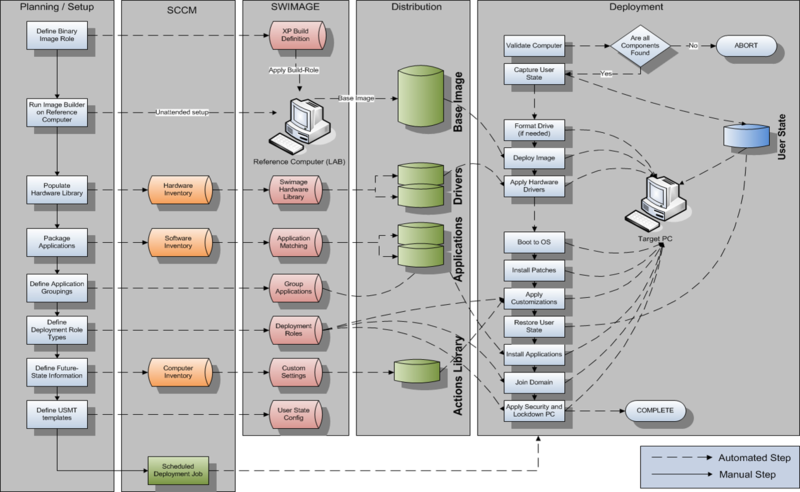 As this diagram illustrates, Swimage maintains a lot of deployment information and uses intelligent programming to automate most of the provisioning process and 100% of the deployment process. Our goal is to make deployments possible with little to no effort. Although a challenging concept, Swimage meets and exceeds all expectations, as our customers will attest. See in this diagram how the only manual steps are in the planning process. All activities beyond this have been completely automated.